The financial investment in clinical trials represents the most significant expense of drug development, and the microbiology vendor needed for these trials that will perform organism identifications, susceptibility testing and/or molecular services with excellence, is an imperative need. JMI Laboratories is an accredited reference microbiology laboratory that provides high quality microbiology and molecular services to support bacterial and fungal phase I – IV clinical trials. 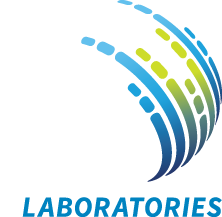 Through our In Vitro Activity endeavors, JMI Laboratories has experience with many candidate drugs and has a vast portfolio of clinical trial support programs for numerous infection indications. Referred clinical pathogens collected from the enrolled clinical trial patients and isolated at the local or central laboratory are sent to JMI Laboratories for organism identifications, susceptibility testing and other microbiology testing that is required as part of the clinical trial design. Further, molecular testing support for clinical trials has become increasingly more important for support of clinical trial data, as demanded by regulatory agencies. JMI Laboratories has the experience and capabilities to perform genotypic and molecular testing including, but not limited to, characterizations of β-Lactamase and other resistance genes and molecular typing methods. Further, JMI Laboratories possesses the capabilities to perform whole genome sequencing to provide complete genome characterization of referred pathogens. The resulting testing data from our many services is uploaded to the data management vendor to be linked with the patient clinical data and submitted as part of the overall clinical trial data set as managed through the CRO and pharmaceutical client. What are the design and support services available? High Quality Services – With years of experience in supporting clinical trials and being experts in the field of antimicrobial development and mechanisms of antimicrobial resistance, you can be assured that the professionals at JMI Laboratories will provide high quality services, deliver ongoing communications on the testing progress, adapt to meet any challenges or study adjustments that are inherent over the term of the study, thus giving your organization assurances that the job will be completed timely, accurately and per protocol design specifications. Final Data Lock – We understand that the success of the clinical trial is dependent on the high quality microbiology services performed within the timeline parameters established at the outset of the clinical trial. We also know that the testing will be accelerated in the closing months of the trial as the last patients are completing enrollment. JMI Laboratories will ramp up its support during the later stages to assure the testing is completed and the final data transferred timely so that your group can lock the database for analyses and submission to the regulatory agency.